Christmas in Pelican sounds just fantastic! Huge bonfires on the bayou, yummy food, special carols and people coming together to celebrate. The whole town is excited and getting ready. Then Donald Baxter is found dead at Doucet and the whole Crozat family are lined up on the suspect list. Even Detective Bo Durand makes the list and is pulled off the investigation. Rufus Durand and Maggie make an unlikely team but there is too much at stake to deal with a family feud. They need to catch the killer before anyone else ends up dead and puts an end to everyone’s happy holiday. Ellen Byron writes the kind of story that I love to escape right into. Never having been anywhere near the Louisiana bayou I depend on her words to take me there and she does it so wonderfully. I loved learning the traditions so unlike those here in Wisconsin. While we do eat a lot during the season, it is more the usual turkey and cranberry meals, not a pot of gumbo. No bonfires here either but usually way too much snow. These differences help to draw me in but it is the characters and the suspense that make me stay. The characters are wrapped up in so much, the new manger at Doucet is really shaking things up, Tug has a health scare, someone is writing trashy reviews about the B&B, Maggie ex comes to town, and Maggie and Bo’s relationship is growing and becoming more known. All that before the murder of Donald Baxter. All these plot lines come together in this marvelous mystery. All the characters have continue to evolve and the way they handle all the situations that arise is very believable. I really love they family feel of this story. Everyone is welcome whether truly related or just a friend. A true Christmas feeling. I have loved each book in the series but this one is my favorite. The intrigue built as the pages kept turning but there are several bits of humor too. A perfect mystery to curl up and read this holiday season. 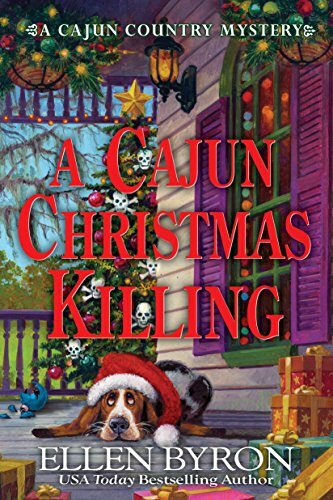 I love Cajun food and I know that I would love to read A Cajun Christmas Killing. Thanks for a chance to win a copy. This sounds wonderful and I can’t wait to read it. I love this series and have read all the books to date. I’d love to win this one to start a collection of Ellen’s books in my personal home library. Land a goshen! That’d put a damper on the holiday! Great review! One of my favorite series. 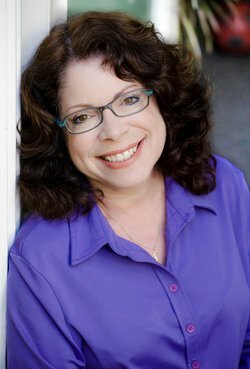 New author/series for me. Sounds terrific and now on wish list! Sounds like a good cozy. Thanks for this opportunity.